Active RB Federation Nation Club members are given the benefit to fish B.A.S.S. Nation events, TBF/CBF events as well as participate in events conducted by the club. 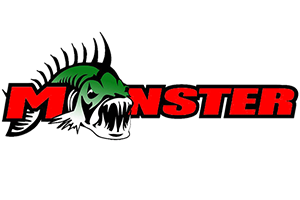 The RB Federation Nation Bassmasters is one of more than 2,000 affiliated clubs of the more than 500,000-member national bass fishing organization’s headquartered in Birmingham, Ala. Besides an interest in improving anglers’ bass fishing skills, the organization has acted to improve fishing waters and protect the sport of fishing. Since its founding in early 1968, B.A.S.S. has become the watchdog of the waterways for sport fishermen. B.A.S.S. worked to help with the passage of the Clean Water Act that has protected our Nation’s water for 40 years, and also with the passage of the National Boating and Fishing Enhancement Act, which provides over $365 million annually for boating and fishing programs in the 50 states. The organization of B.A.S.S. clubs into 47 State Nations and 10 International Nations has strengthened the organization’s ability to respond to threats to our aquatic resources at the state and local level. “These organizations are the first line of defense for clean water and healthy habitats,” said the president. The Nation works closely with state game and fish personnel and elected legislative officials to protect our natural resources, for the improvement of the sport of bass fishing. Other projects include the organization of youth fishing programs and statewide tournaments. Officers in the local club are: Nate Boomhower, Randy Walker and Mike Tremont. Josh Parris will be our clubs’ tournament director. 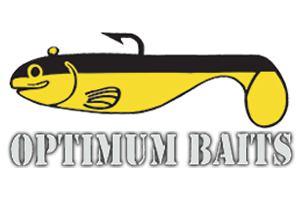 The Bass Federation or “TBF” as we are commonly known, is the largest and oldest broad-based, independent, grassroots organization in fishing, and truly is the backbone of the entire sport. The success of the Federation in improving and furthering the sport of fishing has been monumental and continues to be felt worldwide. TBF is a proud and honored member of the fresh water fishing hall of fame. While our members’ accomplishments are far too numerous to list, many of them boil down to two key areas: youth and conservation. In the youth area, we have focused our efforts on the sport’s number one priority: get young people fishing. That includes just getting a fishing rod in their hands, as well as getting families outdoors. These efforts are key when it comes to facilitating the recruitment of young anglers and introducing them to the values and ethics of fishing and the outdoors. It is a widely known fact among sportsmen and women that outdoors enthusiasts have done far more to protect and enhance (to conserve) natural habitats (“the environment”) than environmental groups. Among that elite crowd, no group of people has done more than TBF Federation members. Our Federation member’s efforts in conservation have included everything from habitat projects, to fighting polluters, to working with fish and game departments, to weighing-in on local, state and federal legislation and much more. These efforts and accomplishments are unmatched in fishing. The ongoing and future health of the sport of fishing, and the clean family values associated with it, are our only goals, along with providing fun experiences for our members. In an effort to continue the Federation’s independent membership’s support and growth of the industry over the coming decades, as well as to provide broader opportunities for TBF Federation members, the individual state Federations formally joined together under a single 100% member owned as a company called The Bass Federation Inc. (TBF). TBF’s focus is the individual state Federations and the tens of thousands of members that make up those TBF-affiliated Federations at the local level, and harnessing those collective synergies and buying power to benefit individual members (i.e., the product-buying consumers). This gives us a stronger foundation – in part so we can better-support our industry partners – and will ensure the success of the grassroots support of this entire industry well into the future.